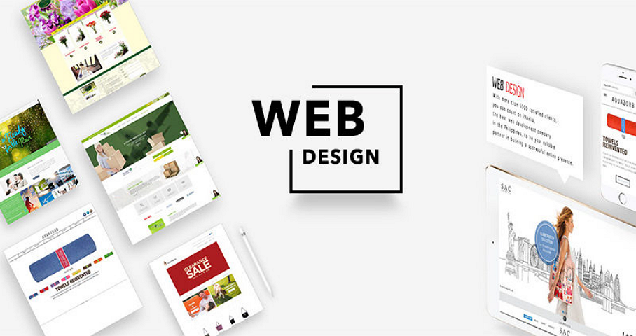 Websites have a become a necessity for every kind of business irrespective of the size and industry, and well-thought-out designs of websites help to tell the audience the story of the business and make a connection with them instantaneously. There are several elements that work for a website and its success, however, it is essential to think about what is necessary and what is not necessary and then ask website developing services companies to create a website for the business. 1.Large typography: Every business must have its own unique typography or font that helps it to be easily identifiable in the hugely competitive market and plays a crucial role in its brand development. Custom website builders should be given clear instructions as to how you want to be perceived by the people through your typography. Whether you want your website to look serious or casual with some fun element, whether you want it to be functional or informational. The website building services professionals will take care of the typography’s applicability across browsers and different devices and let you know if the one chosen by you will work or not for your website. 2.Background videos: Website developing services professionals are strongly suggesting to include background videos that automatically play as they can easily tell a story and thereby reduce a considerable amount of other content needed to explain the visitors about your business. These are really useful to create an impact on the website visitors because visuals are processed and registered by our brains much faster than content that has to be read. 3.Flat designs: Flat designs that do not give the perception of three dimensions in a website are easy to comprehend and even load quickly because they do not contain complicated elements. Being consistent throughout the website with its design elements is essential, so if you are using flat designs on your homepage, you should be using the same flat design on your product pages and other key sections. 4.Hamburger menus: Website developing services professionals suggest opting for the hamburger menu or the hidden menu because it doesn’t occupy much of valuable screen space and provides some white space to make the website look clean and organized. 5.Big product images: It is the opinion of custom website builders that displaying gigantic product images on the websites will help the designers to highlight the various design features of the product in much effective way thereby creating interest among the website users. It should be remembered by the website owners that trends change often but, those websites that are simple, clean, organized, and provide an easy-to-use user experience will always be successful in attracting visitors and getting business.